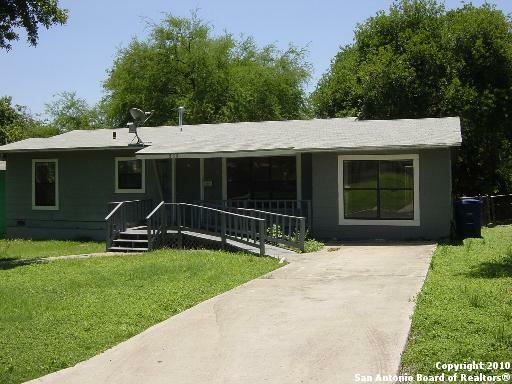 All WILSHIRE VILLAGE homes currently listed for sale in San Antonio as of 04/22/2019 are shown below. You can change the search criteria at any time by pressing the 'Change Search' button below. "78209 - Artfully updated - filled w/ natural light. A 1950's hybrid w/ contemporary style. Large open living areas w/ hard wood & chic ceramic tile, met by a gourmet kitchen w/ stainless, granite, gas cooking, subway tiles, & chimney vent. Ma Bath incls luxurious floor to ceiling tile surround & 4' wainscoting. Plantation shutters throughout. Glistening picture windows in FL rm. Office/2 liv/2 din/2 car garage. No carpet. Mature trees & plants. Sprinkler syst. Incls pre-paid maid service t"
"Home is located in the Alamo Heights area 3/2 bath, large living room area, kitchen has tile floors, large fireplace, central air, and heat. Home is close major high ways 410 E, 35N and 281. HEB food store, clothing shopping centers, restaurants and minutes away from The Quarry Market. The right place to call your home." "This corner lot home offers 2/1 in 78209 with beautiful wood flooring and lighting all throughout. New gas stove, granite counters in kitchen and brand new bathroom. New water heater and windows. One car garage with utility room. Great location near Quarry shopping, downtown & Ft. Sam Base. Walking distance to shopping center." 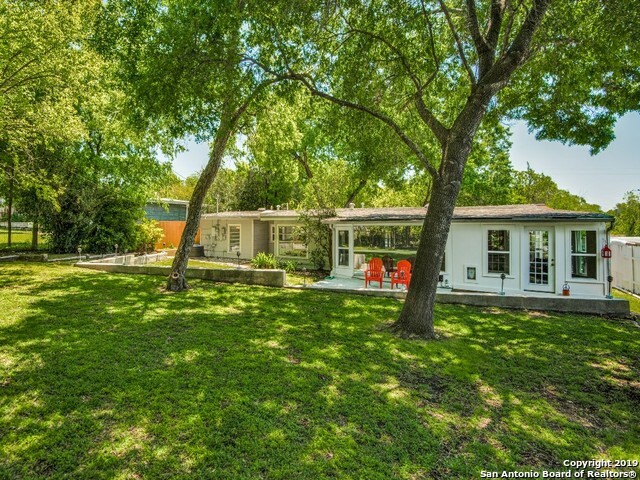 "A must see CHARMER in the highly sought after, coveted Alamo Heights 78209. This home is a quaint 3 bedroom 1 bathroom home which boasts beautiful wood flooring, an adorable new exterior paint job, and a large back patio for entertaining! This home is situated in an area easily accessible to downtown San Antonio, The Pearl Brewery, Ft. Sam Houston and home to some of the best shopping at The Quarry Market." "VACANT !! Adorable cottage styled home. Supercool & Cozy 3/2 w/central air & heat--newer energy efficient double-paned windows--updated baths one w/a pedestal sink--Colorado ski lodge styled kitchen w/rough hewen wooden walls--Large screened porch is perfect for dining alfresco! !RepaintedDec'18*Hardwood Floors Refinished Jan '19*Only one room has carpet and that's the MBR garage conversion, the carpet was replaced Feb'19*RefinTub Feb'19* Fenced yard ! 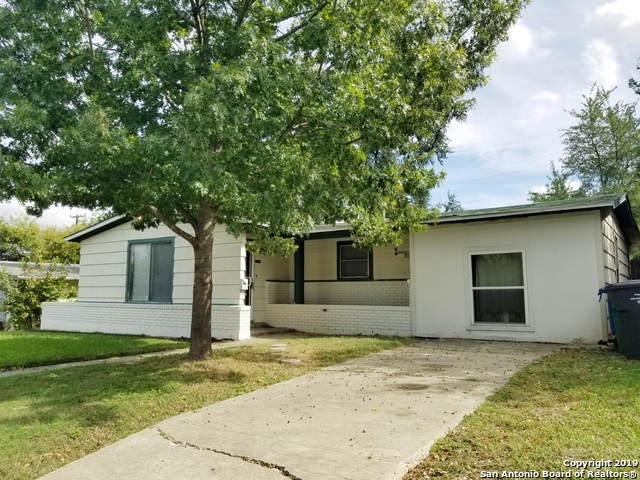 !WE ARE NOW FINALLY READY FOR THE NEW FAMILY-"
"Adorable cottage located in a super location close to downtown, Alamo Heights area & Fort Sam Houston. Perfect for downsizing or it could be a lovely first home. Spacious treed fenced yard. One full size garage & a large workshop that could also be used as a garage. Recent paint-inside and out, tile floors throughout. Double pane windows, water heater, doors, ceiling fixtures & central heat were also replaced. 3 window AC units, gas stove & refrigerator will remain. Good condition. Walk to shop"